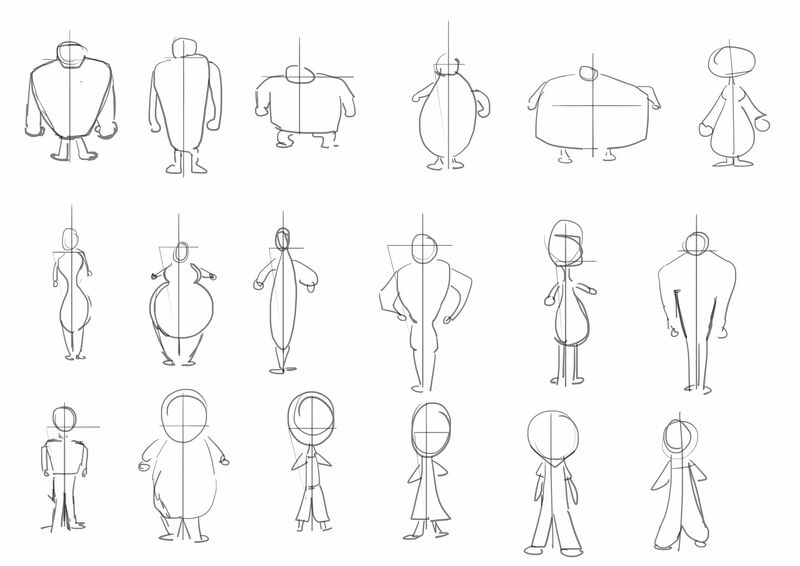 … the character animation for our Kickstarter video! Ever since we started thinking about running a Kickstarter campaign we have been brainstorming about how we can show the social, dynamic and challenging sides of Tamps in a video.Plus we want it to be a funny, personal and informative video. This is a huge challenge, especially when you take into account the time it costs to make a really good one. I have always favored a cartoony video, because four blokes sitting around a table playing a game, just doesn’t does it for me. Even if we make the players female and more attractive, it’s still not great. So we have been looking at different animation methods that could fit our needs and wishes. Enter: Adobe Character Animator. Using this method, Alex makes characters based on ourselves or fiction, which then will be linked to a real face. This let’s us make a cartoony video by using a webcam that films our own faces. In this first test, Alex is using his facial features to create this animation! Remember it’s the first try! So we are very happy with it. What do you think? Leave a comment.